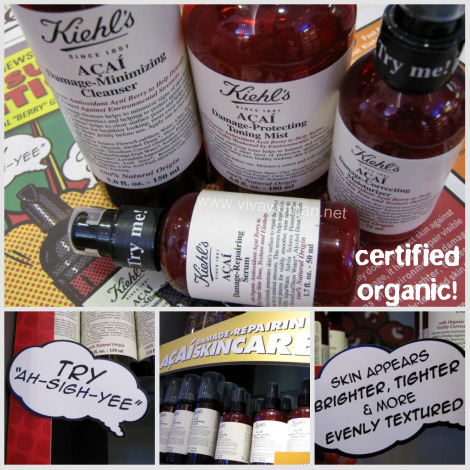 I wouldn’t consider Kiehl’s to be a natural and organic company, although they have recently launched the Acai Berry Damage-Repairing Organic Skincare range. However, I like the company because they strike me as one that provides eco-effective quality products focused on efficacy without the embellishments. On top of that, they are probably one of the few who truly incorporate socially responsible manufacturing practices in their business operations. In fact, I’ve been popping into their stores once in a while to check them out. I like some of their products and if I hadn’t ventured into using natural and organic skin care, I’ll probably consider using more of their products. Some of their products I’ve tried and liked include the famous Kiehl’s Cucumber Herbal Alcohol-Free Toner, Kiehl’s Superbly Efficient Anti-Perspirant & Deodorant Cream and Kiehl’s Brightening Botanical Cleansing Cream (click through to read my reviews). Anyway, I was invited to visit their Plaza Singapura outlet yesterday for a quick introduction of the brand and I managed to find out more. One thing I learnt is that they also put in effort to do up their store with quirky fixtures and displays. The one at Plaza Singapura has a Harley Davidson bike flown in from New York and it’s a magnet for male customers! 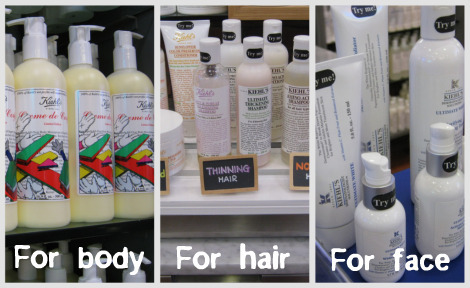 Additionally, although they have products specifically targeted at men, most of their other products are in fact unisex! I also hadn’t noticed from the various times I’ve stepped into the stores that they have placed a box for customers to leave their empty Kiehl’s bottles for recycling. 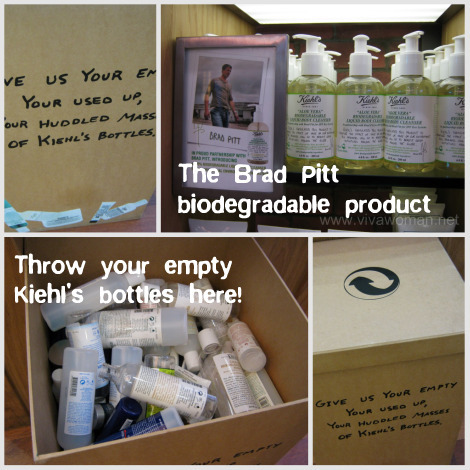 And of course, their bottles are all recyclable, plus some, like the Aloe Vera Biodegradable Liquid Body Cleanser developed jointly with Brad Pitt, is 100% biodegradable. Of course, with a company that has been established for a long time since 1851, you’ll expect they have plenty of fans, including celebrities. 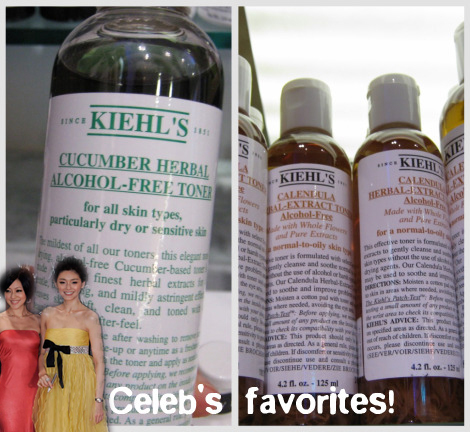 In Asia, you have the ASOS sisters raving openly about Kieh’s toners and I have to admit – I bought the Kiehl’s Cucumber Herbal Toner because of Barbie Hsu’s endorsement in her book. So yeah, Kiehl’s has some good celeb power! 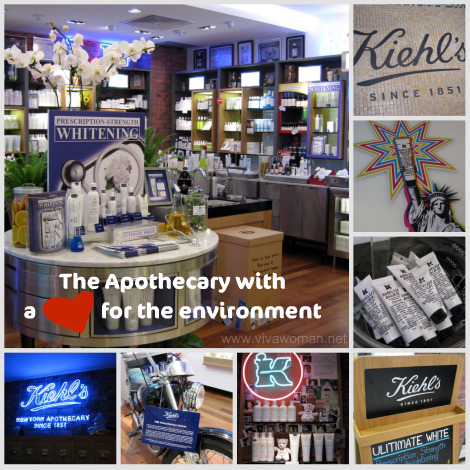 Those who are familiar with Kiehl’s know that they have a wide range of products – from skin care, hair care, body care to products for kids and men, plus products for animals in the States. 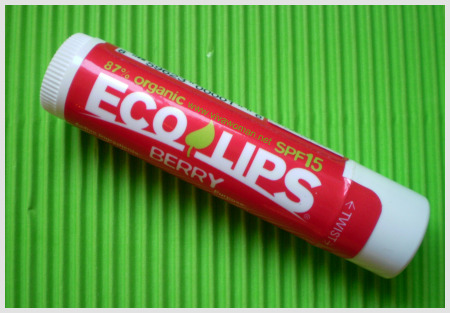 When Kiehl’s was first established here, their best seller was their lip balm. I tried that of course but unfortunately, my review wasn’t glowing because I found the product too much of a hype. But apparently, their best selling item across the seven outlets in Singapore is no longer their lip balm, but their Blemish Control Daily Skin-Clearing Solution. Anyway, you’ll be reading more about Kiehl’s products again because I was given a few products to take home, amongst which are two sunscreens and two shampoos. Their sunscreens are chemical based but as you all know by know, I’m quite the-sunscreen-obsessed to want to test them all. Well, I’ll provide a review on them soon so keep a lookout! Update: go to any of Kiehl’s 7 stores in Singapore and ask for samples freely. Just mention you came from Viva Woman. I can’t wait to see more of kiehl’s reviews! I’ve been eyeing some products for a while, but was afraid they wouldn’t work for me. I’m currently in a toner mode, so I think I might look into their cucumber herbal toner. The Kiehl’s store is really nice! I love the pop art style they use. I quite like the Cucumber Herbal toner even though it is meant more for drier skin type. The Calendula one is more suitable for my skin type I think…I have a bottle of it and shall try out how it works. 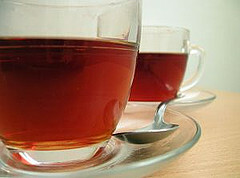 I actually like the simplicity of their product lines, because they just focus on the ingredients and the efficacy. 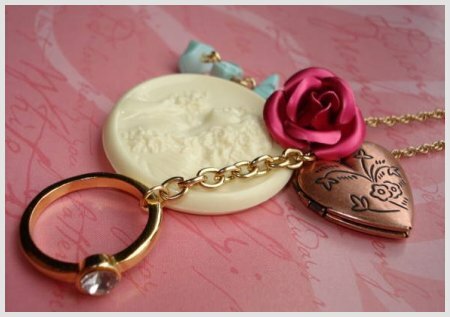 I am eyeing on their brightening range but their products contain paraben. Yup, that range does contain parabens and some others. It’s non-natural. I do like the Kiehl’s deodorant cream too. However, their price are just not wallet-friendly enough unlike The Body Shop which conducts promotion & warehouse sales more often. It’s one of the best I’ve used so far…but very ex!!! It might be a tad drying for some cos I tried it on my hands and felt so. But it maybe different for the face. Anyway, both contains alcohol. Where can i find kiehl’s stores in Singapore? I’m sorry I missed this comment earlier. You can find Kiehl’s at ION Orchard, Takashimaya, Plaza Singapura, Vivo City, Tampines Mall, Robinsons Raffles City and Tangs Beauty Hall.